Product prices and availability are accurate as of 2019-04-12 09:52:08 EDT and are subject to change. Any price and availability information displayed on http://www.amazon.com/ at the time of purchase will apply to the purchase of this product. Get the most out of your OCN® Exam review with this helpful study tool! 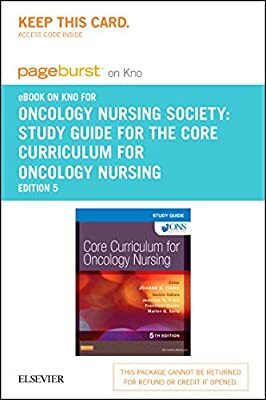 Corresponding to the chapters in The Core Curriculum for Oncology Nursing, 5th Edition, this definitive study guide endorsed by the Oncology Nursing Society covers the entire scope of practice for oncology nursing. It is based on the latest test blueprint for the OCN Exam, with more than 1,200 practice questions addressing all oncology topics, including the newest advances in cancer treatment and related nursing care. Prepare to succeed on your OCN Exam with this ONS-endorsed study resource! The definitive study guide for the OCN® Examination is developed in collaboration with, and endorsed by, the Oncology Nursing Society, the parent organization of the Oncology Nursing Certification Corporation (ONCC), which administers the OCN Examination. Coverage of the entire scope of oncology nursing care includes quality of life, protective mechanisms, gastrointestinal and urinary function, cardiopulmonary function, oncologic emergencies, the scientific basis for practice, health promotion, and professional performance. An answer key includes rationales for correct and incorrect responses. NEW! Revised and updated content reflects the latest OCN® Examination test blueprint and The Core Curriculum for Oncology Nursing, 5th Edition. NEW emphasis on application-level questions helps you apply your knowledge more effectively. NEW! Updates on cancer treatment and related nursing care include the most current and accurate information, preparing you for the OCN Exam and for expert clinical practice. NEW! 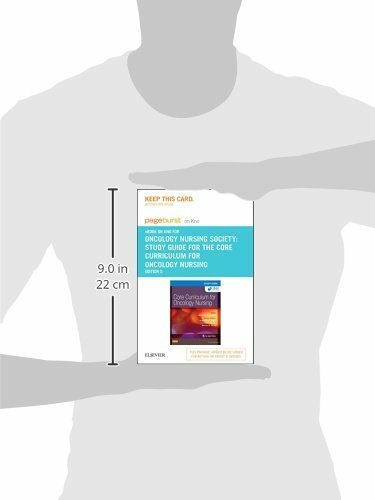 Emphasis on QSEN competencies is designed to reduce errors in oncology nursing practice with a focus on safety and evidence-based practice, including a Safety Alert icon and a High-Alert Medication icon for cancer chemotherapy drugs.